FORUM : It is able to accommodate anywhere from 200 to 400 people, is perfect for wedding receptions, product launches, seminars, exhibitions, and more. Additionally, it can be divided into two separate spaces to accommodate smaller events. 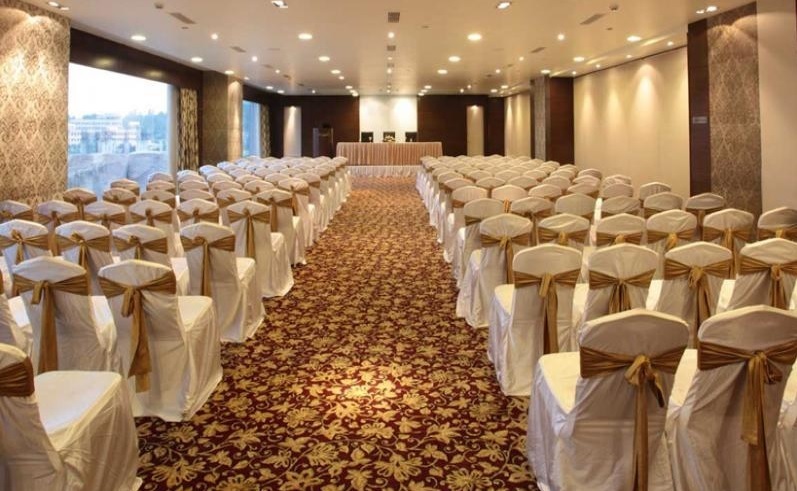 SUMMIT : It can accommodate 60 to 120 people and offers the perfect solution to mid-sized events. It also has Rock Garden and Terrace Garden party options.